Ready to Lift Heavy Run Long? From 5K to ultra distance LHRL training plans will get you to your strength and race goals faster, stronger with a focus on keeping you injury free. 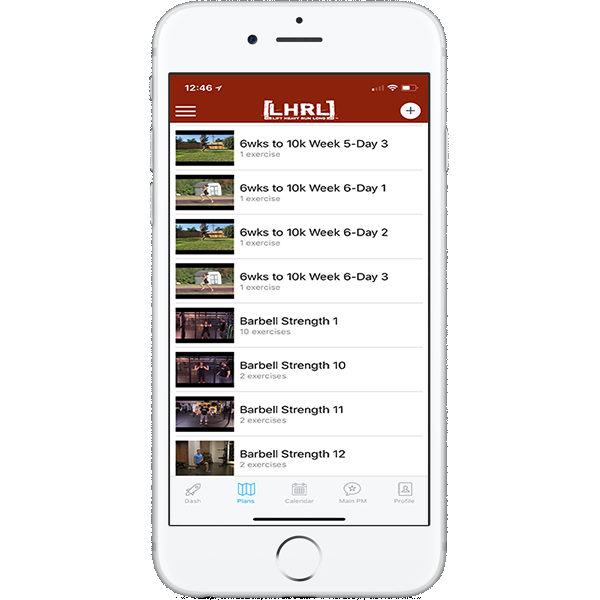 Combining strength and endurance training for 25+ years, the trainers at LHRL continue to see success in all distances and level of athletes using the formula of skill + intervals + strength in training plans. Over the past 7 years, we have been testing training programs that combine weight lifting (bodyweight to barbell) + conditioning with skill + interval training and continue to see success in the gym and across the finish line! Starting with skill, adding intensity then volume is the right formula to develop, increase and maintain speed, strength and endurance. 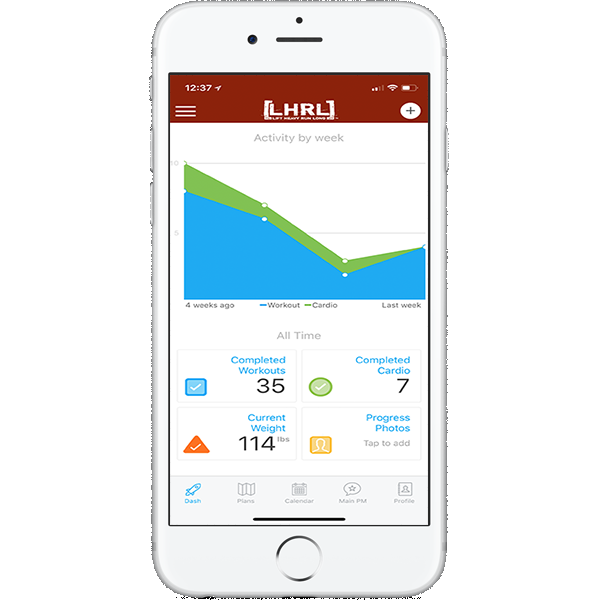 Following a LHRL plan keeps you on the right track to reaching your goal. All plans can be modified and you can have coaching access through the app! 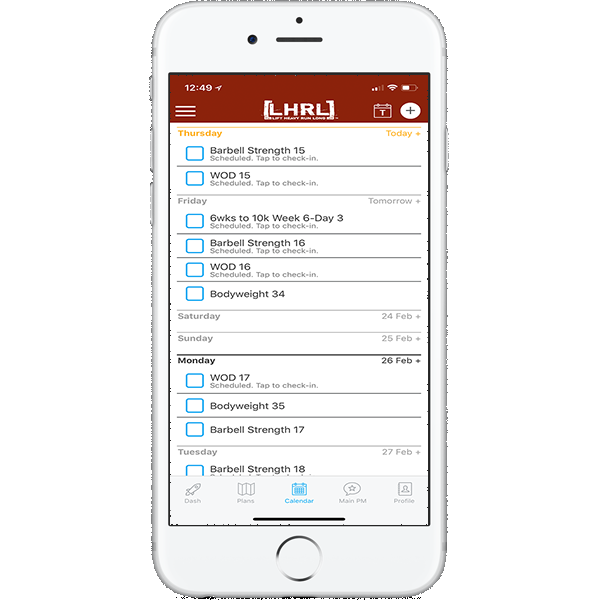 Here is how the plan works: We provide the workouts for the week and you put them in your schedule. Your goal is to find a time when you can focus on a high quality session. Can I lift and run on the same day? Yes, weight lifting workouts and interval runs can be done on the same day! Ideal is with a range of 3+ hours in between. Lift first if you need to combine: lift+interval+conditioning. Bodyweight workouts can also be done on same day as weight lifting and/or running. Long runs and races should be paired with a recovery workout + mobility/self care. What are the differences in the program distances? Variation is in the distance of the longer training runs. Long runs generally stay in the 2 hour or less range, even for marathon to ultra. Can I add extra runs or lifts? We recommend following the training plan as written. Recovery is important for your continued performance. If you feel like you are fully recovered and ready to get back out for your run or to the gym this is a sign of good training! Commit to the intensity of the workouts. Short intervals and max lifts are all out effort! Time test runs are race pace. Conditioning workouts are also for time. You also have longer runs on your program to balance the intensity and prepare you for the distance. Test your skill over distance as well as nutrition/hydration and mindset. We program the strength on its own because we want you to focus on the skill of the lift. Spending time on the movement instead of racing the clock. 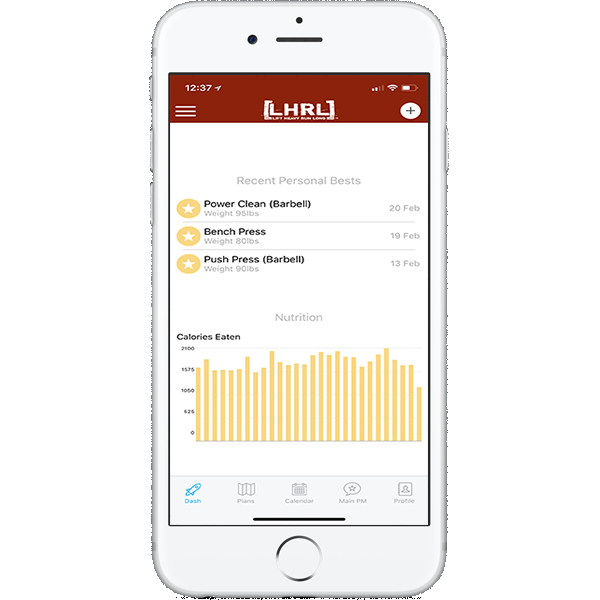 How do I become a member of LHRL? How do I view available programs? How do I change strength and conditioning programs? I accidentally marked workout as complete. Messaging trainer and participating in community.